MoJo Promotions supply a exceptional collection of personalised brewery products, all made to be custom printed with your message. Brewery Products provide a splendid way to present your company name. The practical nature of personalised brewery products is ensured to ensure your advertising aspirations are met. 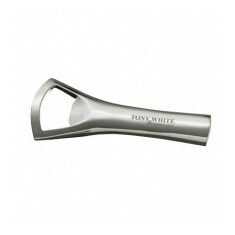 Our selection includes - Silver Bottle Openers to mention but a few. All of our products can be custom printed to suit your targets, please contact us for more information. Heavyweight nickel plated opener in polished finish. Supplied individually box..